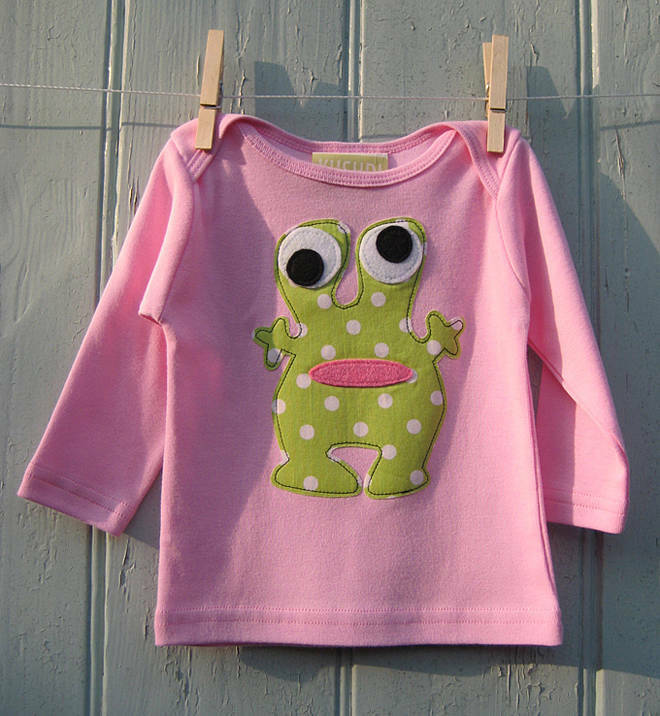 Girls long sleeved top, made in one hundred per cent cotton rib for a comfy fit. The cute alien is hand appliquéd in felt and printed fabrics. This product is dispatched to you by Kushdi For Kids.